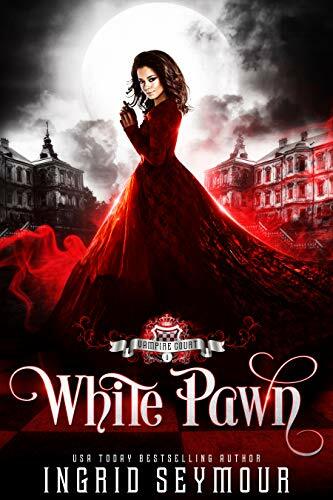 White Pawn is the first installment of the Vampire Court series while Black Pawn is the second installment! And guess what? They BOTH release TOMORROW, April 2nd! These aren’t full length novels, but instead are each more of a novella length. What I love about that is the next release, coming in May, is both White Rook and Black Rook – GUYS. That’s FOUR books in 2 months. Holy freaking amazing right? It helps that these are REALLY good too! White Pawn and Black Pawn are told from separate POV’s – White Pawn follows Bianca and Black Pawn follows Nyro. Bianca and Nyro cross paths in each story, but each book is focused on the main character and things that are happening just to them, but they are still linked, unknown to each other. I highly recommend you guys picking both of these up and giving them a read because I think you’ll all enjoy them! Bianca’s is a Trove. Her blood is so powerful it allows vampires to stroll in the sunlight. Not going to lie..I had a crush on Nyro the MOMENT I met him in White Pawn. IMMEDIATELY. 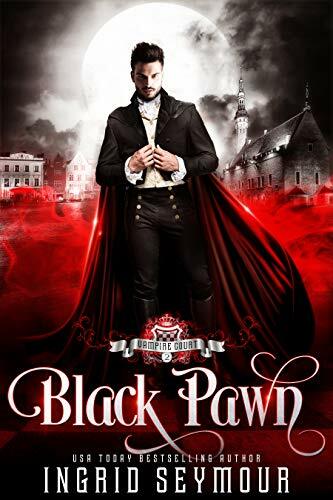 I love a man clouded in mystery 😉 There are things you don’t know when reading book 1 about Nyro, and I absolutely love that Black Pawn begins in the same time as White Pawn, except from another point of view. Now don’t think that this is going to be just a retelling of the same story, because it absolutely is NOT. It is 100% different! This book is ALL about Nyro and his promise to protect his young brother. You learn about the sacrifices he made when he was just a child himself and how hard he’s worked to continue protecting his brother, Timotei. Nyro works hard to keep him safe. He promised his now-dead parents he wouldn’t let the vampires find him. But when Timotei is captured by a member of the Black Court, Nyro joins the King’s ranks in hopes of protecting his brother from within. There, he finds himself is a world of intrigue and machinations that promises to steal more than his family.